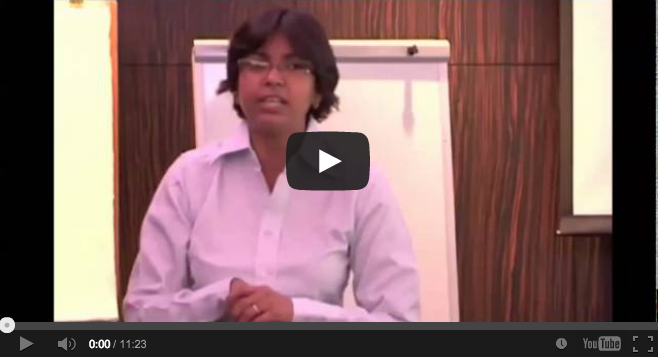 Lean Six Sigma Green Belt for B-School Students - Lean Six Sigma for Students & Institutes. Lean Six Sigma for Students & Institutes. What happens in our Green Belt Workshop? 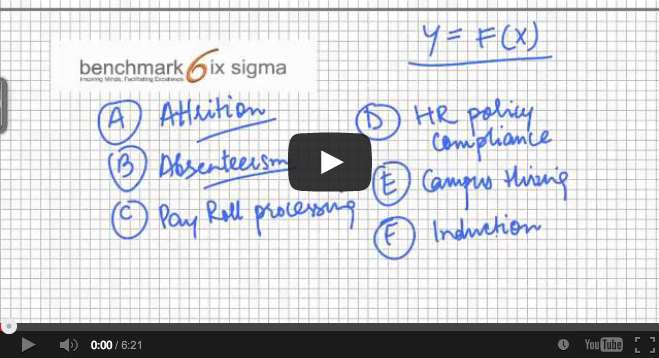 Assess the suitability of Benchmark Six Sigma Program for your career. 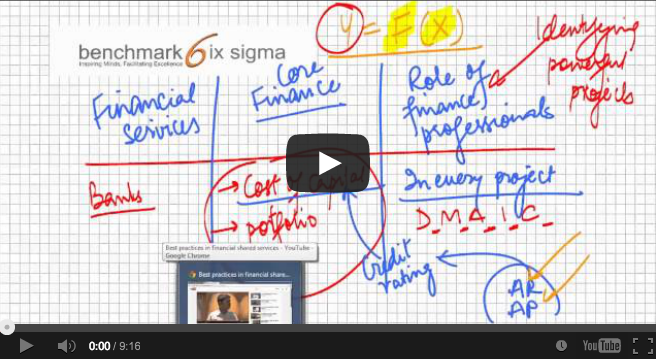 Benchmark Six Sigma is known for building key business improvement skills among B School Students. The key managerial skills that one should build early are mentioned below. 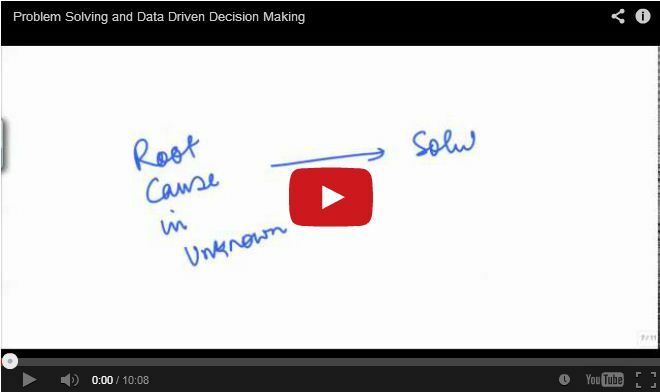 Problem solving with right root cause analysis. The fastest way to get a grasp of these is through Benchmark Six Sigma’s Green Belt certification. There are certain recommended videos for students on this page shown below (marked as essential). Below them are the optional videos which students can view according to their interest areas. 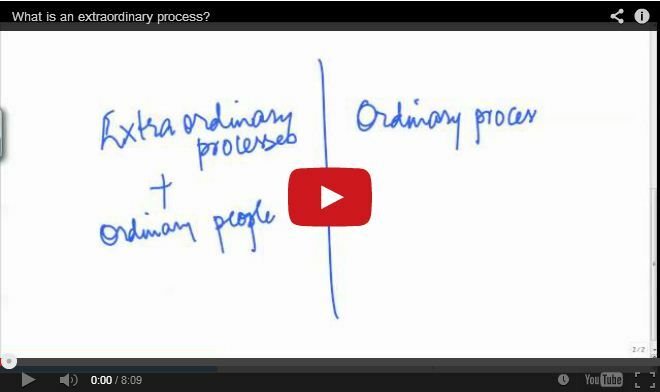 What is an extraordinary process? Problem solving and data driven decision making. Who is using Lean Six Sigma? Why LSS is domain independent? An extraordinary process is what an extraordinary process does. How are these extraordinary processes created? Problem solving and data driven decision making are closely related. How can someone be very good at root cause analysis and at solving chronic problems? Lean Six Sigma related information is closely guarded within companies, Benchmark Six Sigma showcases large number of client companies who use the methodology. 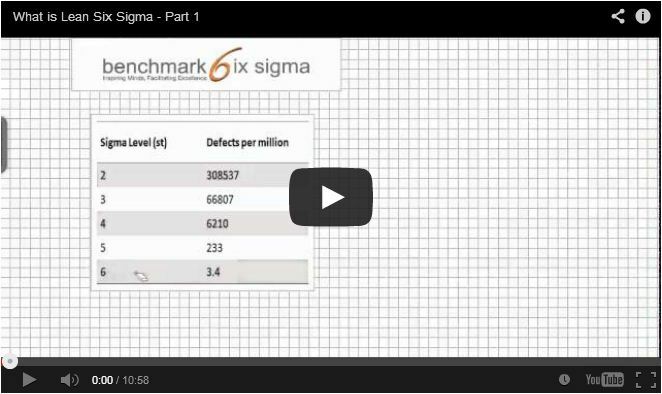 What exactly is Lean Six Sigma? Largely misunderstood as zero defect approach, we just busted some of the prevalent myths in this video. 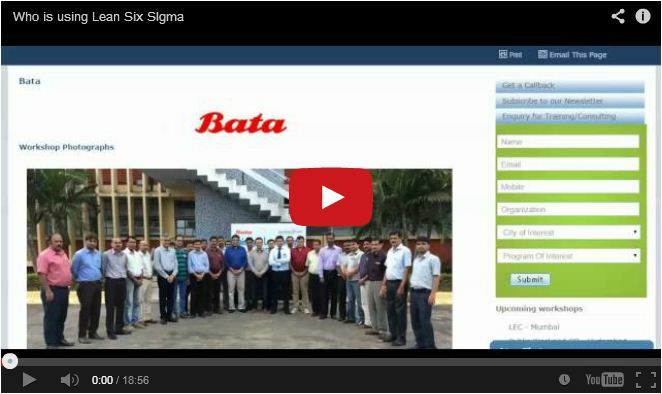 Lean Six Sigma is being used in all industries and functional areas. This video shows why and how it is relevant everywhere. This video shares common projects taken up in HR domain and also highlights extraordinary process built at Naukri using Lean Six Sigma techniques. 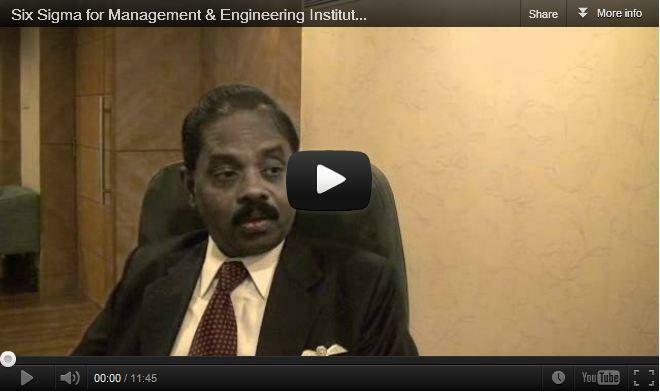 This video shows three perspectives for applying Lean Six Sigma learning for professionals specializing in Finance. 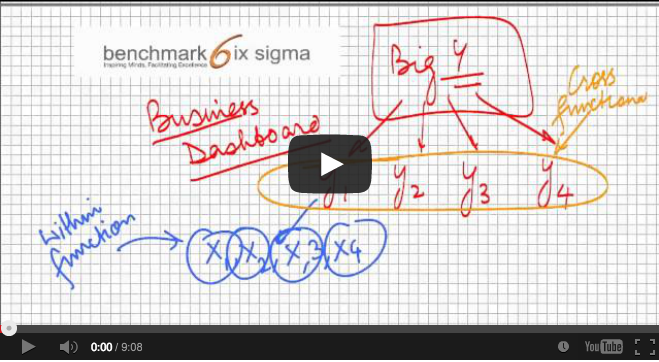 My belief that six sigma knowledge is not needed for Marketing was completely changed after this course. Irrespective of the stream, it is essential for every manager to know the in and outs of six sigma practices. The program was an eye-opener in more ways than one. I came with the intention of knowing more on what Six Sigma was – I leave with a lot more than I expected. The best part about the course is the practical solving of problems using different tools. Also the material and data provided is excellent one can refer to it at a later stage. The teaching methodology and the course structure paved way for a clear understanding of the Six Sigma process and how to approach a complex problem in an efficient way. It was a highly interactive session. The right mix of theory and use of minitab software for solving problems helped us to understand the concepts more easily. Quizzes and workbook activities kept our interest in the subject. Instructor is simply brilliant at explaining complex jargons of six sigma through very simple and intuitive real world examples. This program has really worth every penny!! The Course is very well designed to help upcoming managers understand the various processes and their faults and also solves these issues. It is a must do for any management student who wants to improve one’s problem solving capability. The faculty interaction with students , formation of groups , competitions , brainstorming, quizzes; An extremely well designed format for anyone to pick six sigma methods and its implementation. This course has given me huge insights into not just operations of the company but also towards every aspect of business management. I would recommend this course to anyone and everyone as it is bound to be useful. Example based teaching and Competition based understanding. A great help for budding managers to achieve better results. I would recommend Green Belt Program for every person aspiring for a successful career as it will help one to recognize the problems in the industry and improve upon them through a detailed analysis. It gave me insights about the application of various statistical tools to live business problems. Great course, I think this should be made compulsory for all first year MBA students as it gives them a good insight into the application of statistics, which is important for managers. A complete value for money course and the instructors were able to deliver it in an amazingly interactive way. It was full of practical examples and the session was conducted in an interactive manner. The exhaustive and fun-filled course that essentially covers the basics and also provides a path for its implementation in daily life scenarios and practical industry problems.